Americans are slowly rediscovering station wagons. Finally. Once the preferred family-mobile of the United States, wagons fell out of favor over the past three decades, replaced by minivans and SUVs. 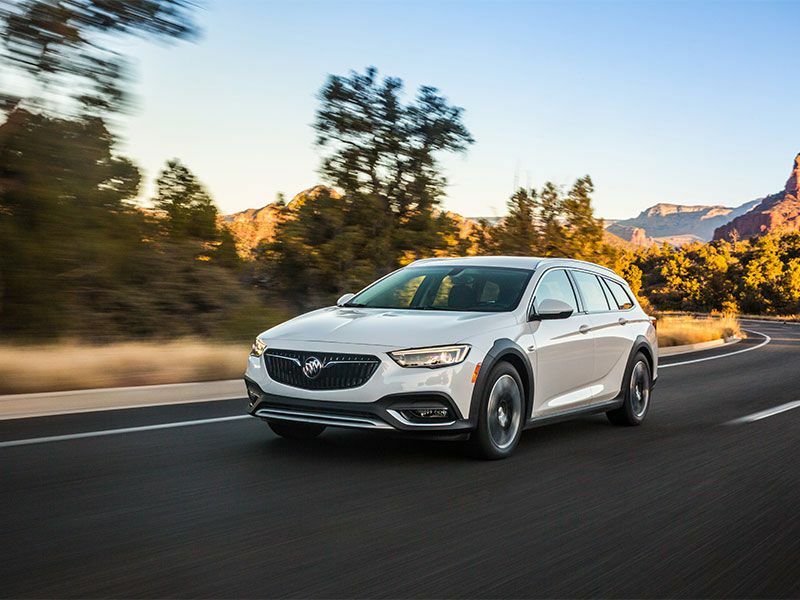 Now wagon sales are again on the rise, and wagons like the new 2019 Buick Regal TourX are fueling the body style’s returning popularity. Buick has a long history of great wagons. Its first was introduced back in the early 1940s. However, the new Regal TourX is the brand’s first wagon since 1996. 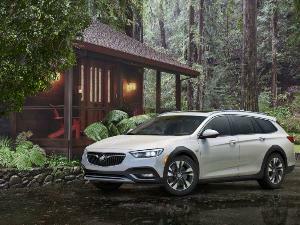 Because “station wagon” still sounds so fuddy-duddy to a few generations of car buyers, Buick calls the 2019 Regal TourX a crossover. Don’t believe it. It’s a wagon — and a darn good one. 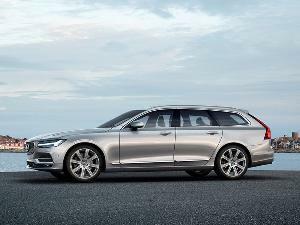 It competes with the Subaru Outback and European models including the Volvo V60, and BMW 3 Series wagon, Audi A4 Allroad, and the more expensive Mercedes-Benz E-Class wagon and Volvo V90. The 2019 Regal TourX is assembled in Germany and offered in three trim levels: TourX, Preferred, and Essence. Buick doesn’t do hybrids or diesels, but it likes turbochargers. All three TourX models are powered by a 250-horsepower turbocharged 2.0-liter four-cylinder engine, which is competitive for this class that includes the 248-hp Audi A4 Allroad and the 250-hp Volvo V60. All-wheel drive is standard across the lineup, and every Regal TourX comes with an excellent eight-speed automatic transmission. Unfortunately, the 310-hp 3.6-liter V6 featured in the Regal GS sedan is not available in the TourX. 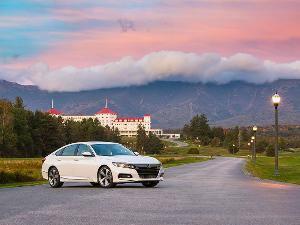 Prices start at $29,995, including a $925 destination charge, for the base Regal TourX, which is about $2,700 less than an all-wheel drive 2019 Buick Regal Sportback sedan. Our Regal TourX Essence test vehicle cost $35,995 before options. Standard features included heated front seats, keyless entry and engine start, a heated steering wheel, and 18-inch wheels. Additional extras like navigation, LED headlamps, and a premium audio system drove the sticker price of our test vehicle up to $40,475. Cruising around Los Angeles in the 2019 Buick Regal TourX is fun. People notice this wagon, which is 3.4 inches longer than a Regal sedan. Our black test vehicle turned heads with its perfectly proportioned bod and long, wide stance. Cool details include the wagon’s artistically peaked hood and dual chrome exhaust tips, plus an impossibly long piece of brightwork that extends from its side mirror up over its greenhouse, through its D-pillar and down to the base of its tailgate. It’s a beautiful piece of work. And the TourX has the engine performance to back up those good looks. We were impressed with its smooth turbocharged four-cylinder engine, which delivers plenty of torque off the line for quick acceleration. The TourX will dust a Subaru Outback, sprinting to 60 mph in 6.4 seconds. Although that’s about the same thrust as the front-wheel drive Volvo V60, it’s about a half-second slower than the all-wheel drive Audi Allroad. We’re also impressed with the engine’s extremely smooth start/stop feature, which shuts off the engine at idle to save fuel, and its well-tuned and responsive eight-speed automatic transmission. Although the transmission does have a manual mode so you can choose gears yourself, the Regal does not have paddle shifters, which are standard on the Audi. 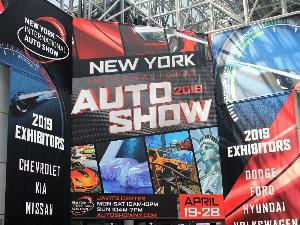 Despite such muscle cars as the 1970 Buick GSX Stage 1 and the 1987 Buick GNX, most car buyers born after the Reagan administration don’t associate Buick with fun-to-drive. Some time behind the wheel of the 2019 Regal TourX will change that. 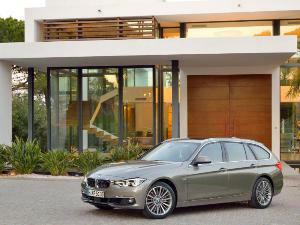 This wagon is quick, sporty, and responsive, offering agile handling and good steering feel. However, it is still a Buick, so the ride is comfortable and the overall driving experience is relaxed. 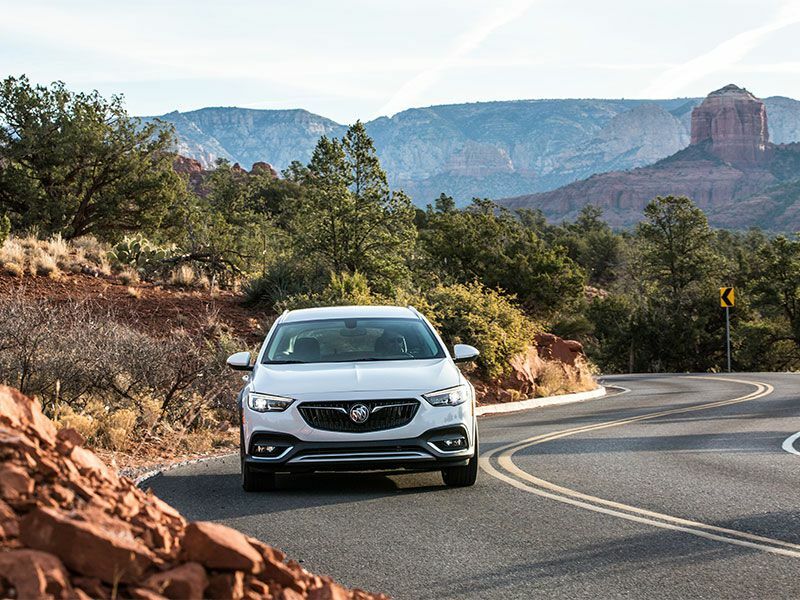 This is especially true on the open highway, where the all-wheel drive TourX can cruise through entire states in any weather without any drama or driver fatigue. 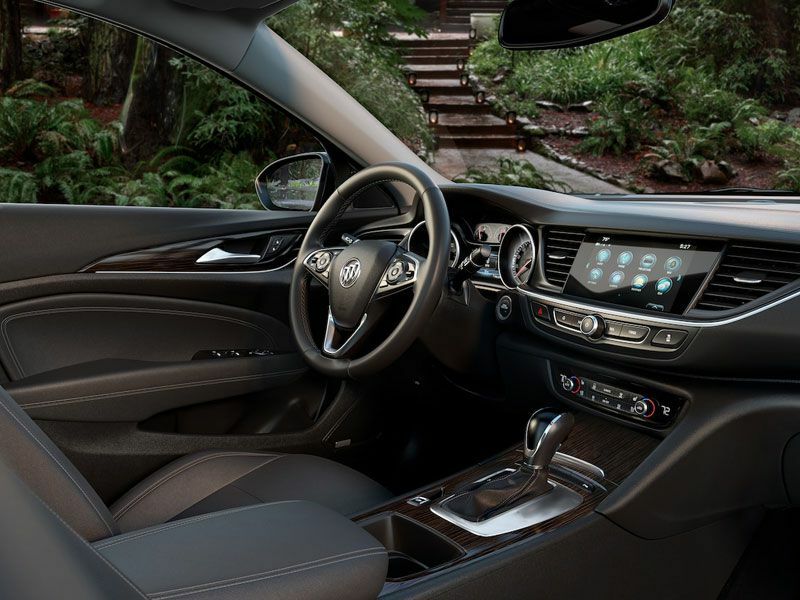 The interior design of the 2019 Buick Regal TourX is shared with the Regal Sportback model. Although it isn’t quite as striking visually as the wagon’s exterior, the cabin does a good job of mixing an American luxury aesthetic with sporty, European flair. Overall quality is good. Panel fitment is precise and there’s a pleasing smattering of chrome trim. Also, the Regal’s doors and exterior door handles feel solid. Unfortunately, the Buick’s turn signal stalk feels flimsy. Visibility is good, and the Regal’s heated three-spoke steering wheel looks and feels great. It’s wrapped in leather with contrasting stitching. The Buick’s gauges are clear and easy to read, and its controls are well placed. The standard automatic dual-zone climate controls are simple and easy to use. The heated front seats in our test vehicle were comfortable, well-bolstered, and widely adjustable. Storage inside the Buick’s interior is abundant and well thought out. The center console bin is sizable, and the large door bins have slots for water bottles. There are also seatback pockets and three large front cupholders, including one behind the shifter that doubles as a phone and wallet holder. The two rear cupholders are part of the fold-down armrest. 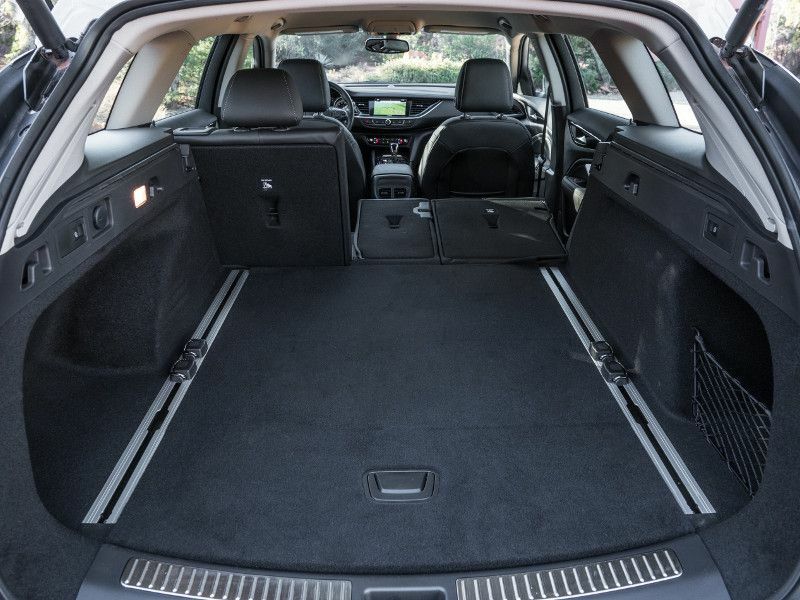 Of course, the point of a wagon is cargo capacity, and the TourX offers a commodious 32.7 cubic feet of cargo space behind its rear seat and 73.5 cubic feet with the rear seat folded flat. That’s about the same amount of cargo volume as a Subaru Outback. It’s also significantly more than you get in the Audi A4 Allroad and the Volvo V60. My 65-pound flatcoat retriever was very happy back there. Surprisingly, only the top Essence trim level gets its rear seat split 40/20/40; in the other models, the bench is split 60/40. Also, a power liftgate is standard equipment on the Essence, while it isn’t even available on the base and Preferred models. 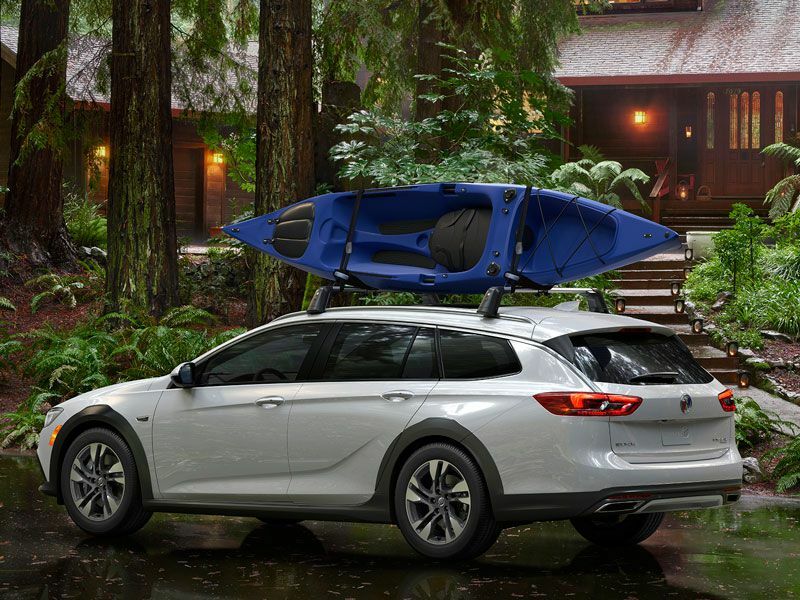 Bluetooth and an onboard Wi-Fi hotspot are standard on every 2019 Buick Regal TourX. The wagon’s infotainment system is well-designed and easy to use. Base and Preferred models get a 7-inch touchscreen, while the top Essence trim gets an 8-inch unit. GPS navigation is optional, and the system is simple to program and has crisp, modern graphics. The system is also compatible with Apple CarPlay and Android Auto, and there are auxiliary buttons on the dash and steering wheel to control the audio system, which is appreciated. Wireless phone charging is offered. Another cool bit of tech is Buick’s Teen Driver Mode, which can help you monitor your teen’s driving habits and better coach your new driver. To encourage safer driving, the system allows you to activate customizable vehicle settings associated with a key fob. It can limit certain vehicle features and prevent certain safety systems from being turned off. An in-vehicle report gives parents information on their teen’s time behind the wheel. 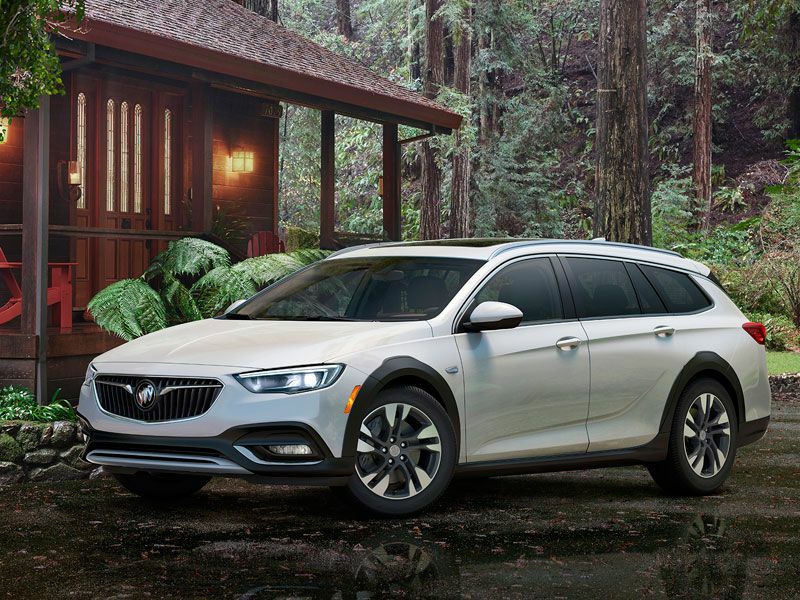 The Buick Regal TourX shares its 111.4-inch wheelbase with the Regal Sportback sedan. So, like that hatchback model, the wagon seats five with an impressive amount of rear legroom. The back seat also has plenty of headroom if you’re under 6 feet tall, though the middle rear seat isn’t equipped with a headrest. Backseat passengers get a couple of air conditioning vents, and parents of younger children will appreciate the Buick’s easy-to-reach LATCH connectors in the outboard seats. 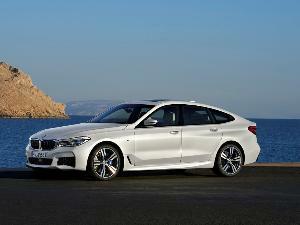 The EPA estimates the wagon’s fuel economy at 21 mpg city and 29 mpg highway, which is about average for the class. I averaged 27 mpg during a week of mixed driving around Southern California. The wagon does feature a capless fuel filler, which makes filling up easier, and it’s a plus that its turbocharged engine will run on less-expensive regular-grade gasoline. 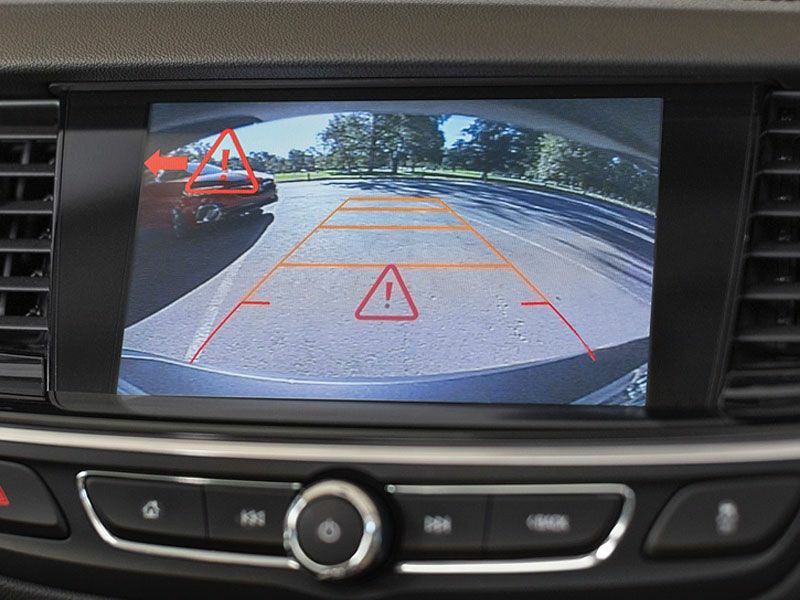 Buick offers the TourX wagon with a long list of high-tech safety systems. Optional systems on our test car included rear parking assist, blind-spot monitoring with a rear cross-traffic alert, and active cruise control, which will keep a safe distance from the vehicle ahead. Our test car also featured a following distance indicator, a forward collision alert that warns if vehicles or pedestrians are in your path, and forward automatic braking, which automatically applies the brakes if the system believes an accident is imminent. Lane-keep assistance with a lane-departure warning, which will steer the Regal back into your lane for you, and front pedestrian braking are also part of the Driver Confident #2 Package, which cost an extra $1,190. Another clever safety-related technology found in the Buick is a rear seat reminder that suggests you check the back for kids or pets before exiting the vehicle. 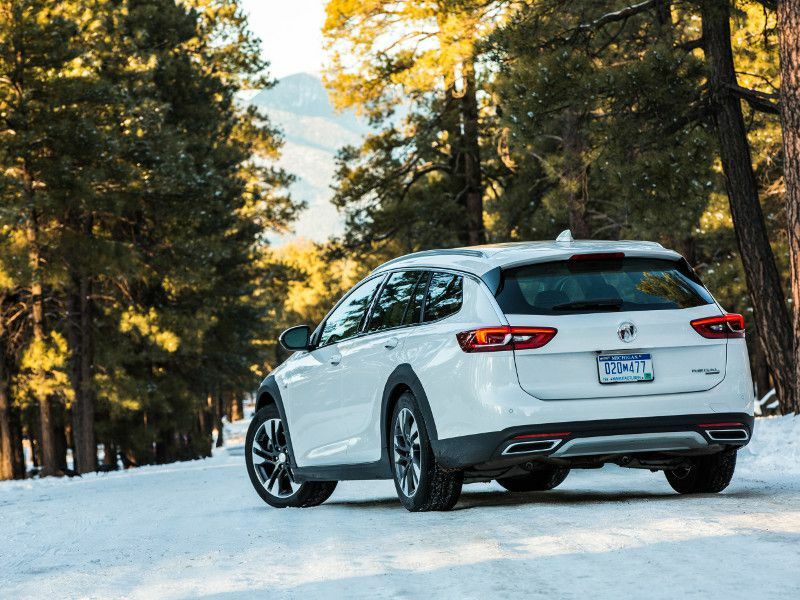 If you’re looking for a sporty luxury wagon with all-wheel drive, the 2019 Buick Regal TourX is a very desirable choice. The Buick is comfortable, it performs well, and it offers exceptional cargo space. 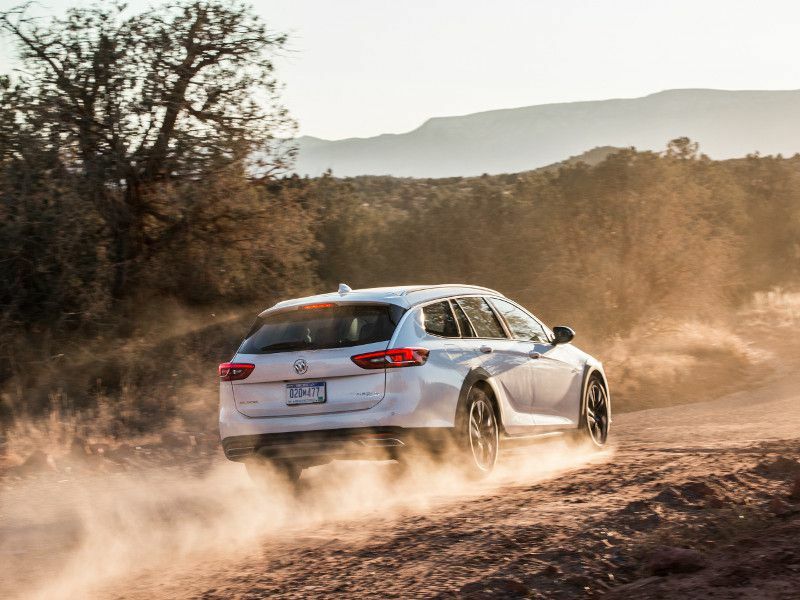 Although we wish Buick would offer a GS version of the TourX with the more powerful V6 and its sport-tuned suspension, the wagon is fun to drive just as it is. It also represents a heck of a value. 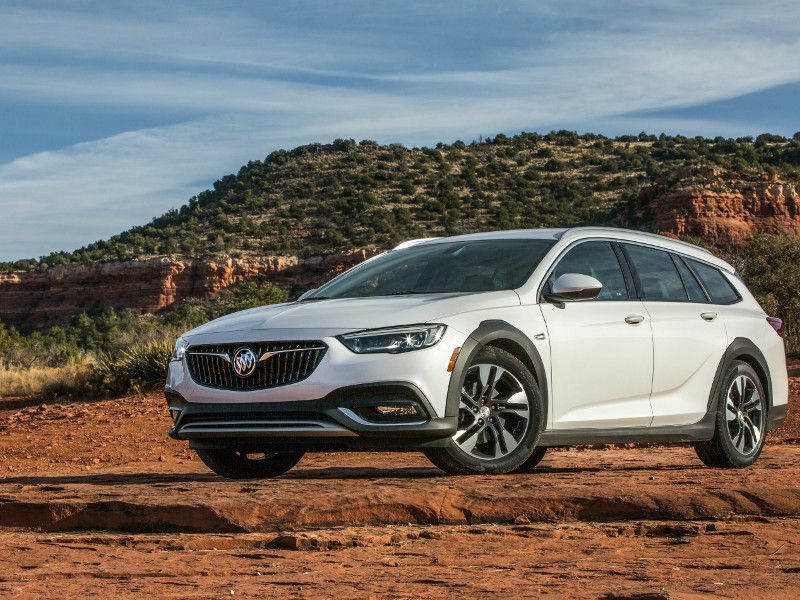 The 2019 Buick Regal TourX is approximately the same size as the Mercedes-Benz E450 wagon. No, it isn’t as well-appointed as the Mercedes and it doesn’t offer the same power or performance, but the Benz wagon starts at over $65,000. That’s more than twice the base price of the Buick and about $25,000 more than our very well equipped test vehicle.